A culture of innovation in school? Just think like a start up. What’s a start-up? Its a business searching for a repeatable and scalable business model. 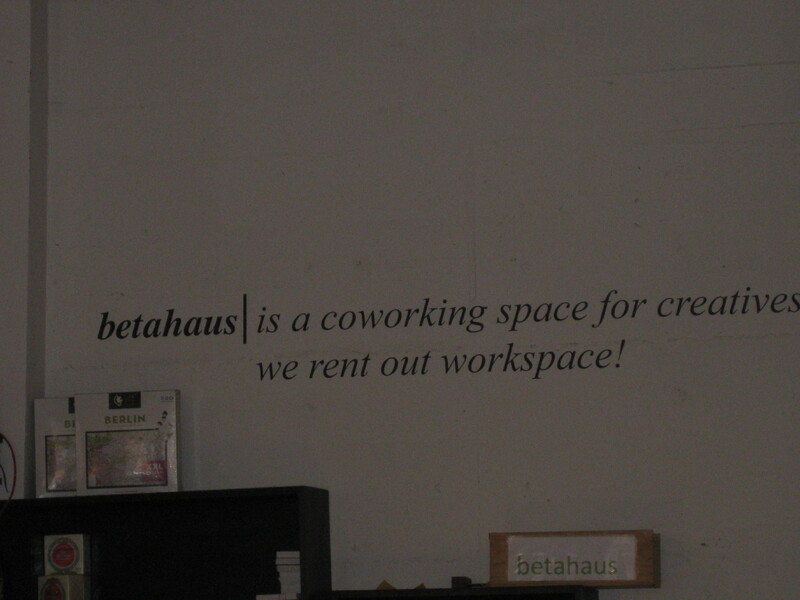 I recently visited ‘Betahaus’ in Berlin. 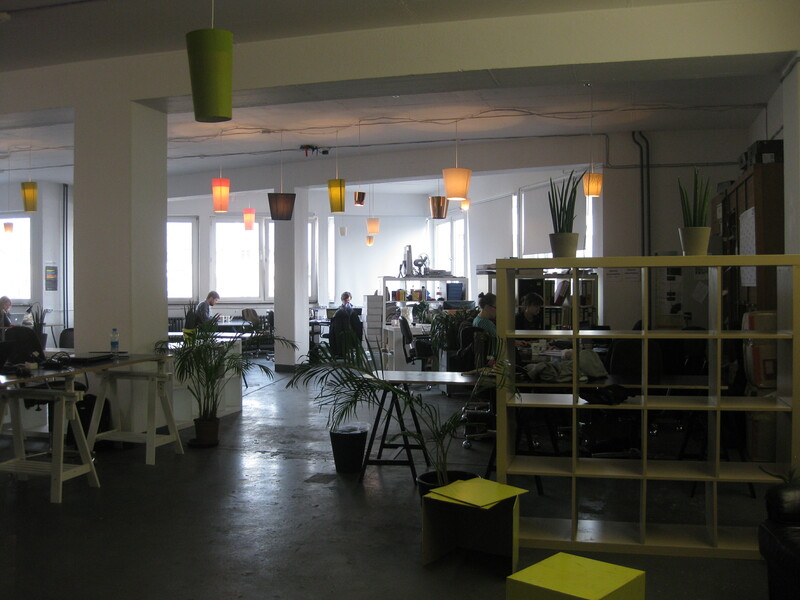 It’s a co-working space where like-minded entrepreneurs can work in community. There are areas for quiet, concentrated work as well as communicative spaces and meeting rooms, all with access to printers, scanners, and of course, free wifi and a great cafe. 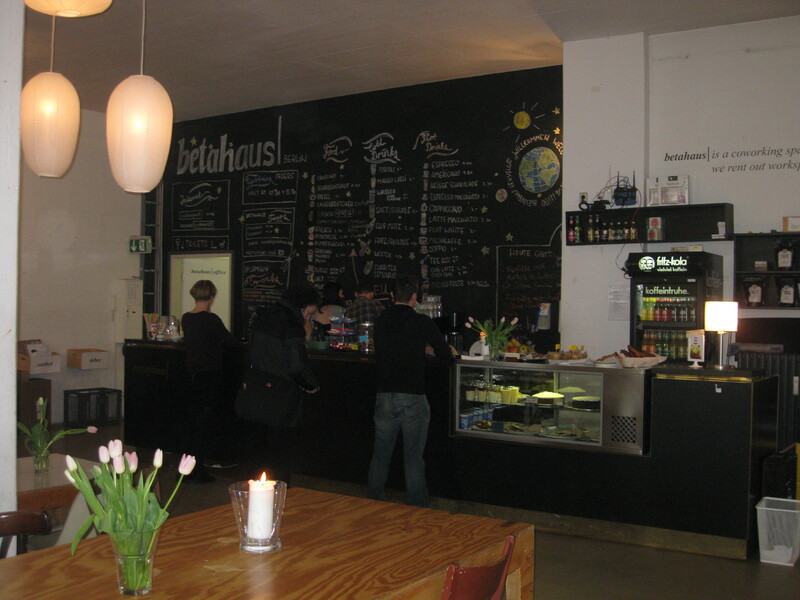 The concept for Betahaus came from combining the cafe, the library, the home office and the university campus. Our society is moving away from, as thought-leader Charles Leadbeater calls them, ‘the boulders on the beach’. Traditionally, we crowded around a few very large boulders, for example, the media corporations. They provided most of our information and entertainment, ‘filter our access to the world and shape how we make sense of it’. But the boulders could also represent any of the traditional suppliers of products and services, the ones that are household names. But this is changing. Schools and universities are boulders, that are increasingly dealing with students who want to be in the pebble business, drawing information from a variety of sources, sharing with their peers, learning from one another. Question: How do we help schools understand the students who want to be in the pebble-business? Answer: Think like a start-up. Innovative breakthroughs come from start-ups with no money: Innovators are passionate about their ideas. Allocate time and space for creativity. World changers are disruptive: They mess with the status quo, embrace the unknown and take risks. They don’t tend to be the compliant and rule-keeping people. Help them work within boundaries, time and resources, and allow their freedom. 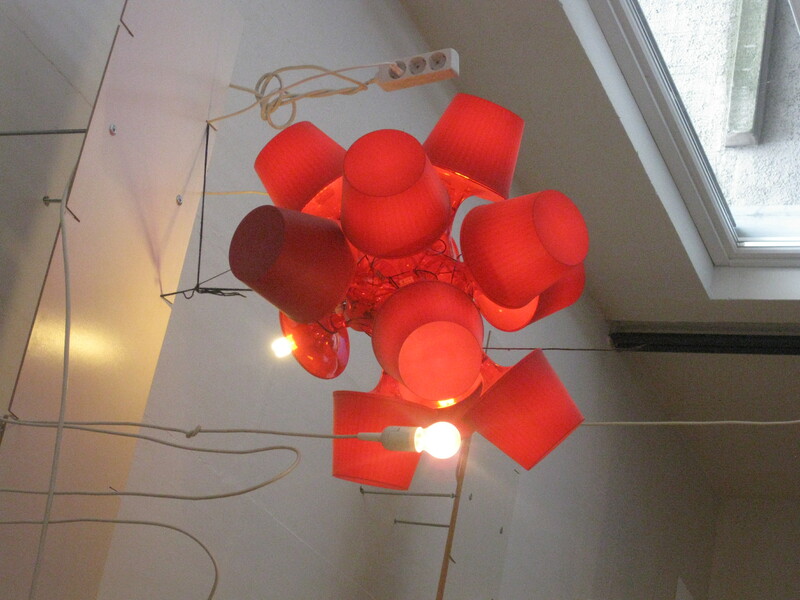 Provide conditions for innovation to flourish: This is where space design and furniture are essential. 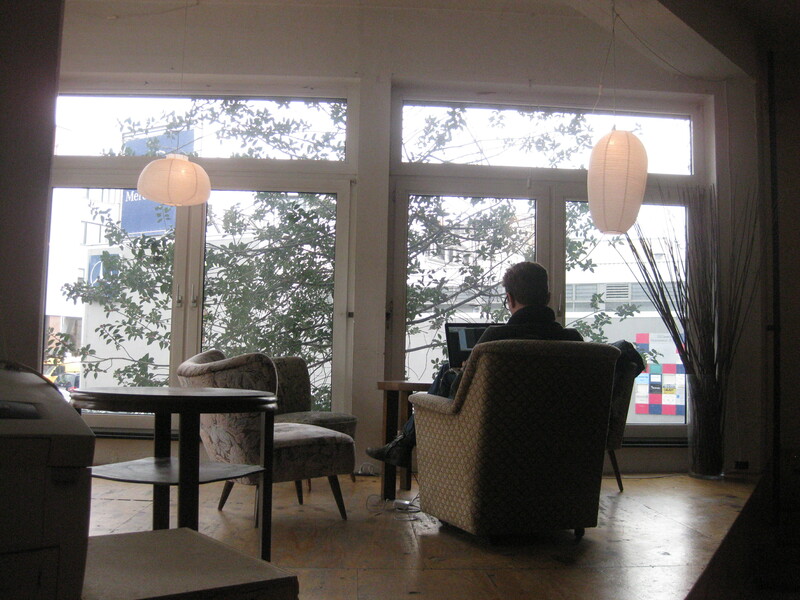 Quiet spaces, communal spaces, collaborative spaces and a cafe. Flatten the leadership that will enable decisions to be made at a faster rate: Hierarchy kills creativity and structure can place too many roadblocks to innovation. 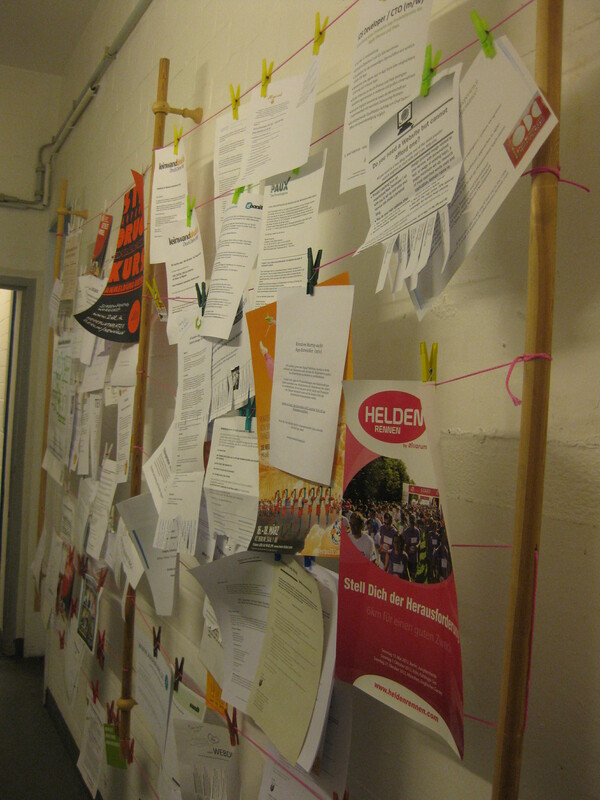 As I walked around Betahuas I realised that no one compels these entrepreneurs to ‘work’, they are motivated by their passion and the potential of the project and enjoy the ambience and encouragement of working alongside others like-minded people. They share ideas, test their ideas on one another and blend expertise. These people represent many of the pebbles on the beach. 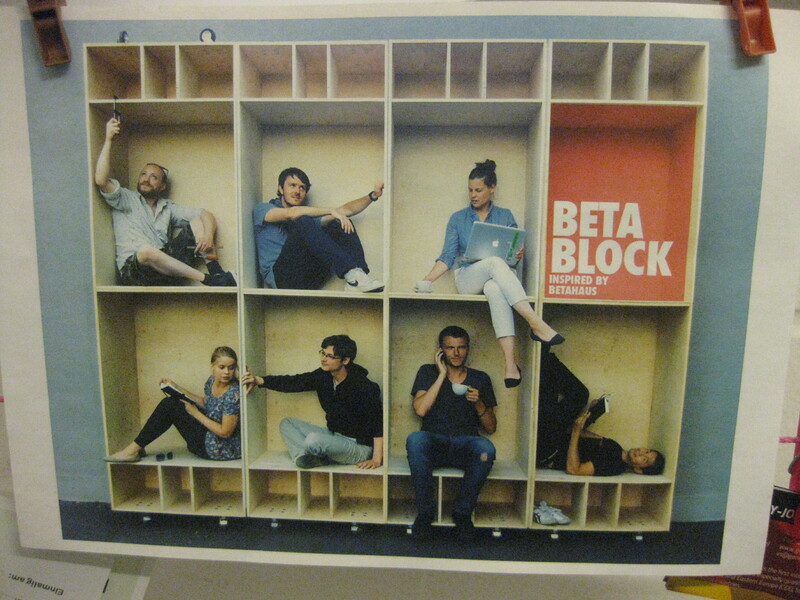 A key way that we can rethink school is to learn from the Betahaus. As Harold Jarche, author of The Working Smarter Fieldbook said: Work is learning and learning is work… as we start empowering people to adapt to increasing complexity, the difference between work and learning will blur. This will mean that we will move away from the singular-discipline model of teaching and start integrating learning. This is thinking as a start-up and these are the conditions for innovation.